This summer’s movies have had plenty of action and spectacle, but can you name one character from those films that made an indelible impression on your mind? One who joins the ranks of Indiana Jones, Luke Skywalker, and Michael Corleone as someone you know by name and by their characteristics? I can’t think of one. The new Superman isn’t as memorable as Christopher Reeve’s iconic portrayal. The main villain in Star Trek Into Darkness is too bland to join the ranks of other great baddies from the Star Trek pantheon. Making a memorable character is really hard to do because a movie has to make us care about them in more than just a superficial way that services the plot. So today I’m going to list 10 ways to make a memorable character and give 10 examples of characters who exude these qualities. Let’s start leaving an impression. This might seem a little simplistic, but I’m serious. Beginning a character’s first and last name with the same letter is a surefire way to get their name lodged into a person’s memory. Think about Mickey Mouse, Donald Duck, Peter Parker, and Lois Lane. Who isn’t familiar with their names? Clark Kent even works because his first two letters sound the same, even though they’re different. Marty McFly is memorable for many reasons, including his creative mode of transportation and likable portrayal by Michael J. Fox. But what helps cement his name in our memories is how it rolls off the tongue. Great characters can take time to show off how great it is being them. Superman did it in Superman: The Movie. Seriously, if you had virtually limitless powers, would you sit around moping about the fact that you’re not able to solve the world’s problems? I hope not. Why not take a moment or two to revel in all the good you can do and how great it makes you feel! 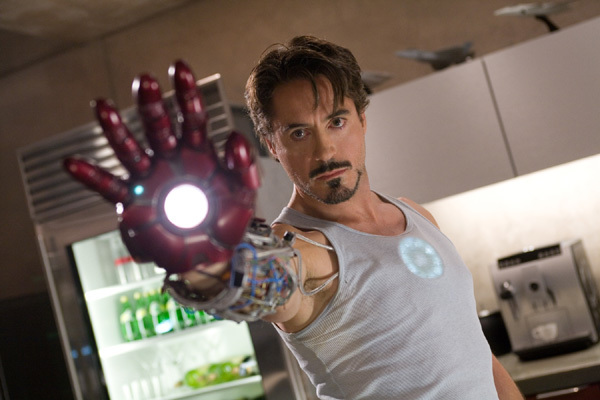 That’s what Tony Stark does in the first Iron Man film. Sure, he has some scenes to pause and reflect on his life, but for a lot of the film we get the sense that he is having fun and he’s proud of each achievement he makes, big or small. We’re having fun right along with him, too. Sometimes the less we know about a character, the better. We don’t need a detailed backstory or complex motivations to be riveted by their every action. If a character is so unpredictable that we have trouble reading him or her right up until the end credits, the filmmakers have really done something special. 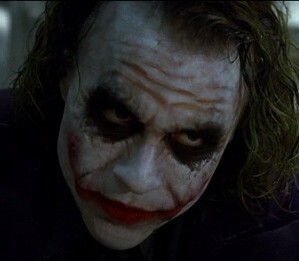 I’ve discussed what an intriguing villain the Joker is in a previous article. He is constantly making up a new origin story for different audiences. He also changes his mind about his grand designs on a whim. First he wants to unmask Batman, but later he wants to kill the man who has stepped forward to do it. And he is amassing power in order to show others how pathetic their attempts at establishing order are. All of this adds up to an unpredictable, unforgettable character. Giving a character a unique physical deformity, scar, or other feature goes a long way toward leaving an impression on viewers’ minds. James Bond villains frequently use this strategy with varying degrees of success. I can’t think of a character with more memorable physical characteristics than John Merrick. His face is shrouded for the first third of the film, heightening the tension and anticipation for the big reveal. When it finally comes, it blows away the audience’s expectations, creating a character that is burned into our memory at first sight. And then as we get to know him and see what a gentle and kind human being he is, we look past his deformities and discover his inner beauty. A good character has to differentiate himself or herself from the crowd. Bruce Willis’ performance as John McClane in Die Hard has been almost universally praised because it is such a huge departure from other action heroes of the 1980s. He is vulnerable, prone to self-doubt, barefoot, outgunned, and barely scraping by. None of these qualities are what you would expect from a big, hulking action hero. 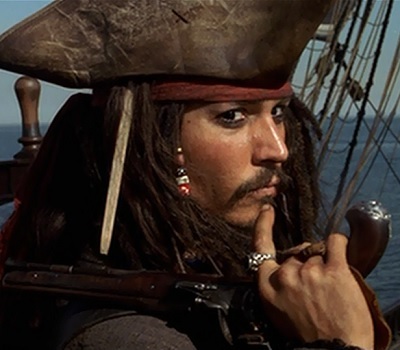 Jack Sparrow is probably the most famous fictional pirate in the world, despite having only existed for a decade. In his debut film, he is delightfully absurd and he appears to be unpredictable and wholly self-serving on the initial viewing. But on multiple viewings, we see that he is actually quite noble and completely consistent in his own odd way. His quirky mannerisms won over audiences and made him so fresh and unique that the filmmakers continue to make him the focus of each new sequel. Intelligence doesn’t need to call attention to itself. A character who is a nervous wreck inside but who barely lets it show on the surface can be extremely powerful when done right. For example, Michael Corleone is a tortured soul in The Godfather Part II, only raising his voice on a few occasions. But for the most part he appears calm and rational while dealing out death to his enemies. Khan, in Star Trek II, could have been completely over the top in his desire for revenge on Kirk. But from his very first scene, he shows himself to be a worthy adversary for Kirk by maintaining control of his emotions. He calmly explains himself and performs brutal punishment in a dispassionate manner. His restraint and patience are rewarded throughout the film, but the weaknesses that he tries to hide keep bubbling to the surface and undermining his plans. 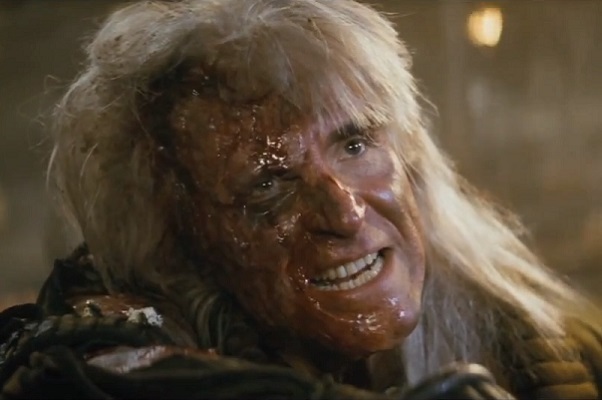 It’s a brilliant performance that definitely warrants Khan being known as the greatest Star Trek villain of all time. Every character should have a distinct voice. After all, you don’t want all of your characters to sound like they’re coming from the same mind. That would spoil the illusion. 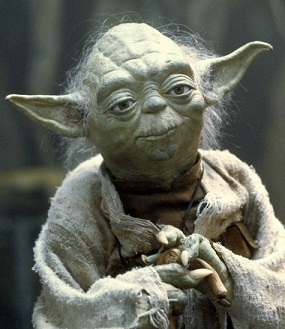 Yoda is a rare example of a character who is distinguished primarily by the way he talks. His out-of-order way of phrasing sentences makes his character seem ancient and wise. We’ve never heard anyone else talk quite like he does. As he embeds his pearls of wisdom into Luke Skywalker in such a strange manner, we can’t help but listen closely. Good dialogue is an important part of creating a character. Giving them superb one-liners and catchphrases can elevate a character to a whole new level. In the first Terminator film, the titular character doesn’t have a whole lot to say. But that makes everything he says more meaningful. He only speaks when necessary or when it maximizes the irony or dark humor of the situation. No other piece of dialogue in that film is more iconic than the simple line, “I’ll be back.” Many one-liners come after the action, such as Schwarzenegger’s “Consider that a divorce” in Total Recall. But in this case, the line comes right before the Terminator proceeds to crash his car into a police department and single-handedly slaughter every cop in the building. His words and actions combine to create one of the most memorable bad guys of all time. Some actors seem born to play a certain role. Marlon Brando is Vito Corleone. Christopher Reeve is Clark Kent/Superman. And Tommy Lee Jones is Deputy Marshal Samuel Gerard. The marriage of actor and character is often an imperfect one. For example, it’s hard to watch a Tom Cruise movie and not see Tom Cruise playing a character. The same is true of Adam Sandler, Julia Roberts, and many other actors. 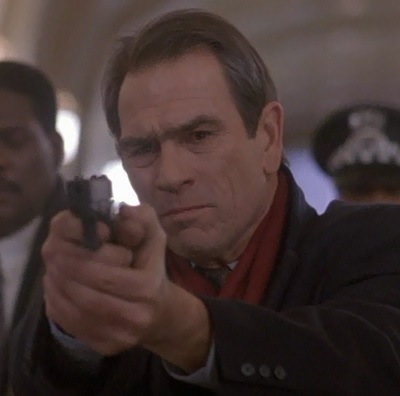 But Tommy Lee Jones so successfully buried himself in the role of the pursuer of Richard Kimble in The Fugitive that he essentially created a character that he would keep playing for the next two decades. A lot of the characters I’ve mentioned in this list are main characters, but that doesn’t have to be the case in crafting a memorable character. Side characters can often steal the show and leave a greater impact than the ones who are in the spotlight for most of the film. For example, even though he has much less screen time than Kirk in Star Trek II, Spock is arguably the most memorable character in that film. It’s because the whole film is building up to his sacrificial death. Mufasa, likewise, is not the main character of The Lion King, even though he is the titular character (for at least part of the film). He only has six speaking scenes, including one after his death, but he is definitely the most memorable character in that film. When you think of The Lion King, do you think of Simba or Scar? I certainly don’t. We spend more time with those characters, but they’re always talking about Mufasa or being compared to Mufasa or doing other things that call back to the greatness of Mufasa’s character. By giving Mufasa a meaningful death that drives most of the events of the film, the filmmakers made his character iconic in a way that few other characters achieve. That’s my list of 10 ways to create a memorable movie character. Can you think of other examples of films that did these things extremely well or extremely poorly? Or do you have other ways that I didn’t include in this list? I’d love to hear them. Feel free to share your thoughts in a comment below. This entry was posted in Random Stuff and tagged back to the future, characters, films, iron man, joker, movie review, movies, star trek, star wars. Bookmark the permalink.